Hello! It’s Jen and Jodie from Eighteen25 and today we have a yummy treat to share with you. 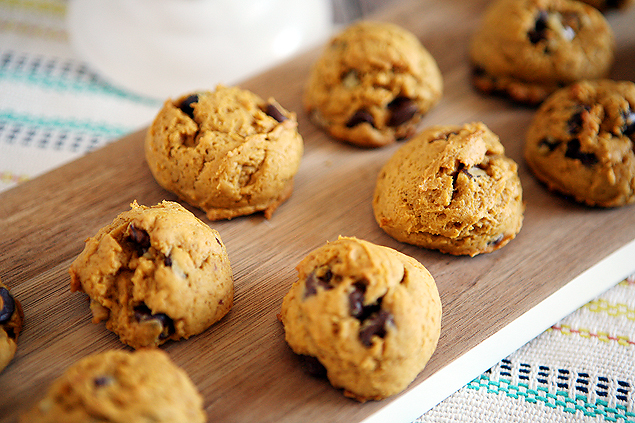 It’s pumpkin season and it has us craving all things pumpkin. 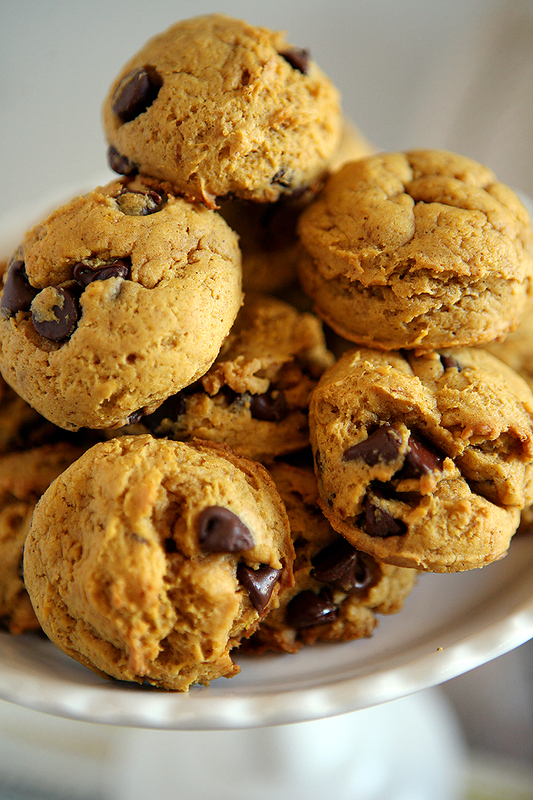 Pumpkin drinks, pumpkin bagels, our Mom’s pumpkin bread and most definitely Pumpkin Chocolate Chip Cookies. Yum! We can usually sweet talk our sister Jamie into making these for us, but she’s gotten smart and just shared the recipe with us so we can make our own. 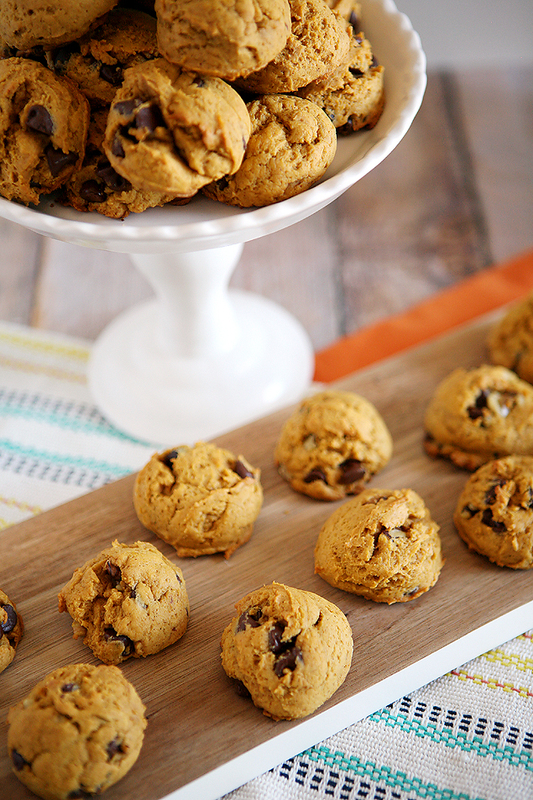 Good news… we are now sharing the recipe with you. 🙂 Let’s get to it! Then in a large bowl mix together the sugar, canned pumpkin and shortening. Then add the flour, baking powder, baking soda, cinnamon and salt and mix well. Bake cookies for about 11-14 minutes. 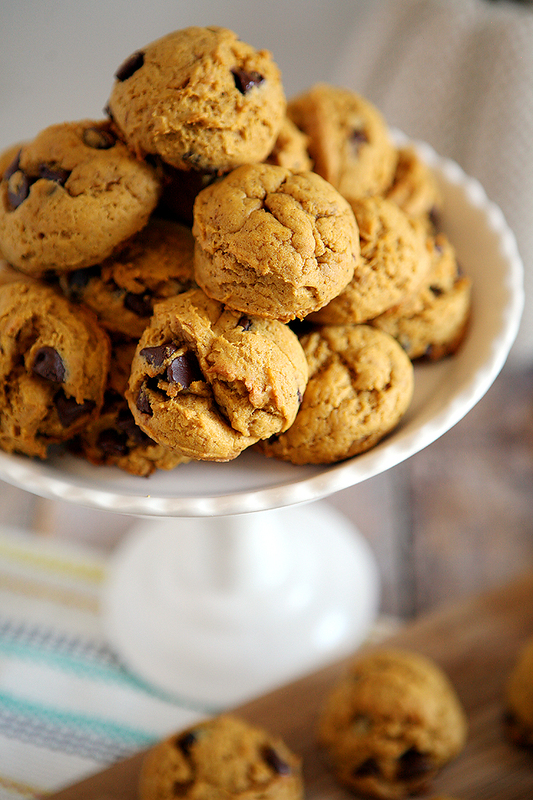 Store your cookies in an air tight container or plastic bag so they don’t dry out. We use a cookie scoop and it makes the cutest little rounded cookies that are moist and soft inside… just the way we like them. Happy fall everyone. Hope you are enjoying some beautiful sweater weather wherever you are. 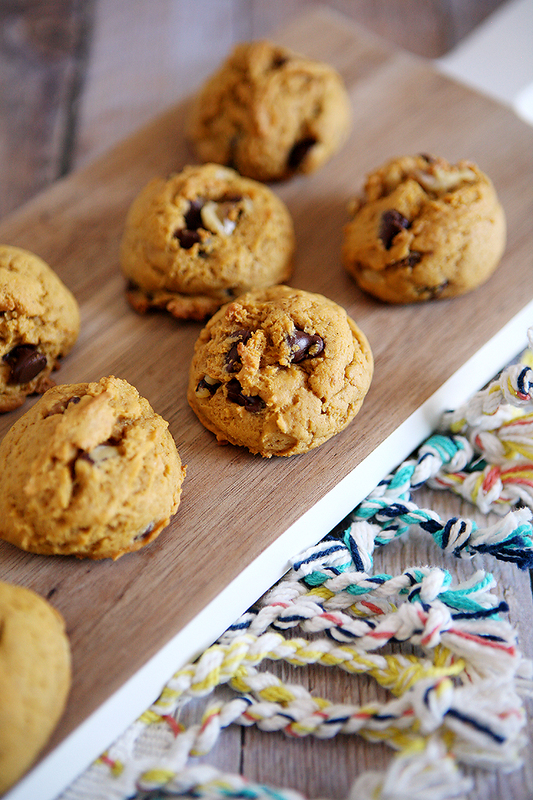 Give these cookies a try, we know you’ll love them.